Dane Jeffrey Cook (born March 18, 1972) is an American stand-up comedian and film actor. He has released five comedy albums: Harmful If Swallowed; Retaliation; Vicious Circle; Rough Around The Edges: Live From Madison Square Garden; and Isolated Incident. In 2006, Retaliation became the highest charting comedy album in 28 years and went platinum. He performed an HBO special in the Fall of 2006, Vicious Circle, a straight-to-DVD special titled Rough Around The Edges (which is included in the album of the same name), and a Comedy Central special in 2009 titled Isolated Incident. He is known for his use of observational, often vulgar, and sometimes dark comedy. He is credited as one of the first comedians to use a personal webpage and MySpace to build a large fan base and in 2006 was described as "alarmingly popular". As an actor, Cook has appeared in films since 1997, including Mystery Men, Waiting..., Employee of the Month, Good Luck Chuck, Dan in Real Life, Mr. Brooks, and My Best Friend's Girl. He also provided the lead voice role in the 2013 family film Planes, and its 2014 sequel Planes: Fire & Rescue. 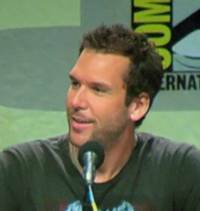 This webpage uses material from the Wikipedia article "Dane_Cook" and is licensed under the GNU Free Documentation License. Reality TV World is not responsible for any errors or omissions the Wikipedia article may contain.